Full friendly training is provided. All our patrollers will always patrol in pairs and you also get to interact with local Police. We don't get involved with anything more than just acting as the … View moreWe are currently recruiting for more volunteer patrollers - for both day and night patrols. Simply complete the form on our website at www.tawacp.org.nz... and we will be in touch to discuss further. Something lost or vandalised? Report it online! Members of the public can now make reports online through a new reporting tool on Police’s website. The tool can be used to report lost property and property damage. The current offering is being run as a trial, though Police plans to expand the service so people can make other non-emergency … View moreMembers of the public can now make reports online through a new reporting tool on Police’s website. The current offering is being run as a trial, though Police plans to expand the service so people can make other non-emergency reports online. “We aspire to be the world’s safest country and have the trust and confidence of all. To achieve this, our commitment to service must be central to everything we do. Online reporting is part of our plan to transform the services we provide to the public,” says Assistant Commissioner: Service, Jevon McSkimming. “We want New Zealanders to be able to connect with us anywhere, anytime. The public will still be able to make reports through their local police stations or over the phone. With the summer months fast approaching, we are currently recruiting for more day and night volunteer patrollers. We are a volunteer group committed to keeping Tawa a safe place to live, work and play. We act as the 'eyes and ears' of the New Zealand Police and the community, with the … View moreWith the summer months fast approaching, we are currently recruiting for more day and night volunteer patrollers. We are a volunteer group committed to keeping Tawa a safe place to live, work and play. We act as the 'eyes and ears' of the New Zealand Police and the community, with the support of Wellington City Council and our very generous supporters. Perhaps you are looking to join the Police, or just wanting to give back to your community. If you can spare at least 3 hours once a month and are interested in joining our friendly and welcoming team, please get in touch today! Simply complete the form on our website and we'll be in touch. Thinking of joining the Police? 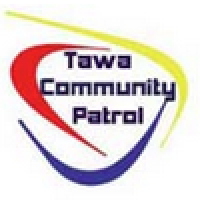 Why not join the Tawa Community Patrol! "Looking twice at train tracks may save your life"
Look right, look left, look for trains. That’s the message NZ Police and the NZ Transport Agency are supporting this Rail Safety Week, and it could save your life. Inspector Peter McKennie, Operations Manager: Road Policing, says we will be supporting the week by spreading the message to look first before you cross train tracks. It only takes a few seconds, and those few seconds could save your life. “Whether you’re a pedestrian, cyclist, or driver, you need to look twice in both directions, as well as listen for trains. Trains can come from both directions on one set of tracks. “Just as red light running is dangerous, so is trying to race the bells, lights, or barrier arms. A train can’t stop suddenly, but if you take that few extra seconds to look both ways it could save your life,” says Inspector McKennie. “As a driver it’s important to ensure there is plenty of clear space on the other side of the train tracks for your vehicle, and any long load you’re carrying or trailer you’re towing, before you drive over the crossing. “As a pedestrian, only cross at designated crossing points. NZ Transport Agency Director Safety and Environment Harry Wilson says 107 people have been killed from railway incidents since 2012. Sadly so far this year, 14 people have lost their lives. “Every one of those fatal collisions is a tragedy. Imagine the impact this has had on the loved ones of those who have died, and on the train drivers who were unable to avoid the collision. “Looking for trains is a simple action but it’s not being done every time people cross railway tracks. Often we’re distracted or too complacent that we forget trains can’t stop quickly, and they can't deviate from their course. “Sometimes there might even be two trains. If a train has passed or is stopped at a station, you still need to check both ways to make sure another train isn’t coming. Two tracks may mean there is a second train,” says Mr Wilson.